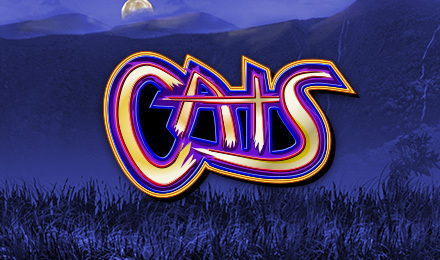 Cats Slots | Multiplied wins, FREE Spins and more! Love or hate cats, play Cats Slots for loads of fun and loads of wins! Spin the reels that are filled with African felines and enjoy FREE spins, multipliers and more! This one’s for Vegas Spins’ cat lovers! But even if you don’t love cats, you’ll love Cats Slots! There are FREE Spins, multiplied wins and more! There are 5 reels, which are filled with cheetahs, lions and tigers, as well as a Paw Print symbol, which is the game’s Scatter. There’s also a Wild, which is represented by the Cats Slots logo – it will replace other symbols to complete a winning line! Login and play now!